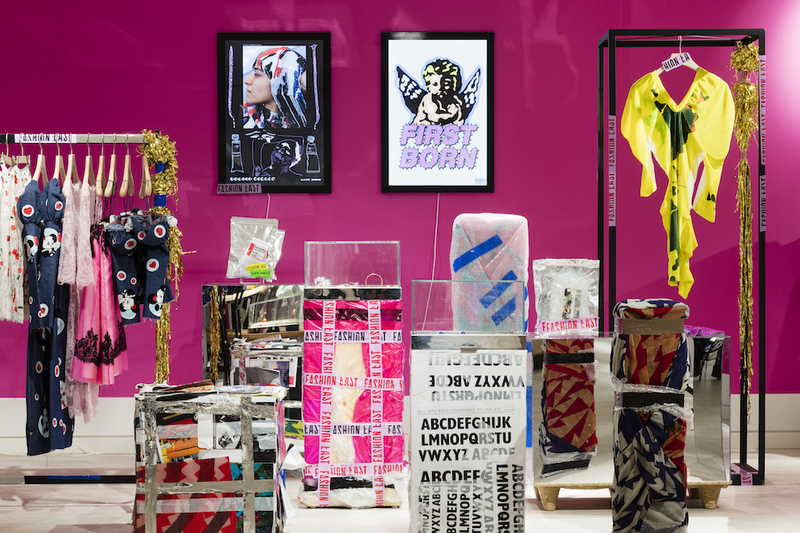 Lulu Kennedy's gang has a new one-stop shop in the Designer Studio. Never ones to perform idleness, it’s not a week since Selfridges introduced its 2017 follow up to the eco-aware Bright Young Things of 2016 – a new initiative exploring sustainable innovation called Material World – and the big yellow shop has today welcomed a second exciting project with the arrival of Fashion East to its shop floor. 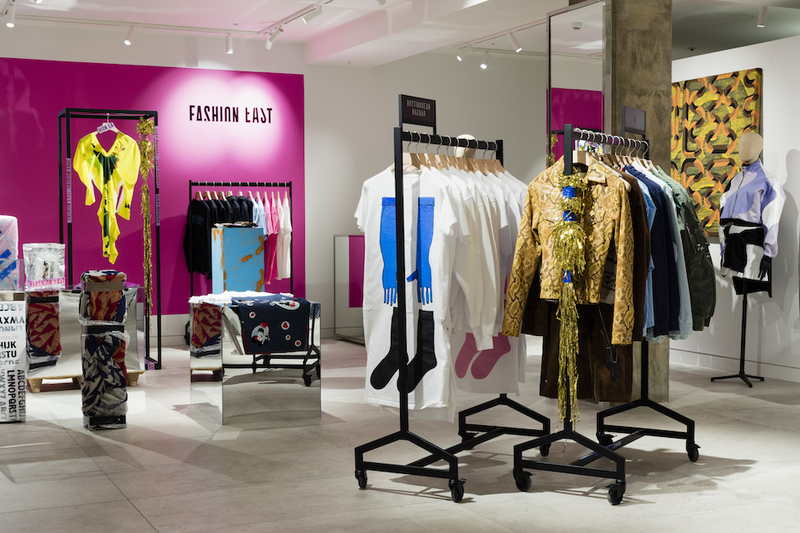 The first retail venture proper from Lulu Kennedy’s emerging talent programme, this week through to late March sees Selfridges’ third floor Designer Studio play host to a hot pink pop-up from the east London team. Alongside apparel pieces from the likes of Mimi Wade and Matty Bovan – both whom debuted SS17 under the Fashion East brolly back in September – limited edition posters by Ashley Williams and Claire Barrow make up the stock, likewise a new ‘Boys in Pain’ zine from MAN label Charles Jeffrey LOVERBOY, and phone cases boasting artwork from fashion week invites past and present. Elsewhere a reissue from Kim Jones, who now heads up Louis Vuitton’s menswear, features amongst the line-up of special editions (Lulu and Natasha Booth both debuted theirs at Friday’s MAN show), and Louise Gray – class of AW08-SS09 – has helped shape the space’s DIY heavy aesthetic.